Overall Score: 4 (of 5). Move fast & think faster as you shuttle your ship through a dangerous space cavern full of obstacles and foes. 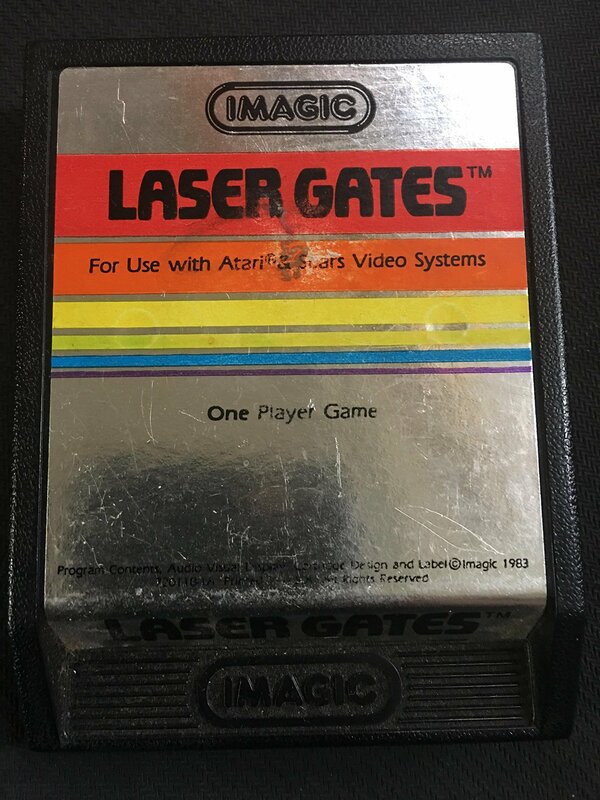 Story: A quick nod to Imagic’s cartridge design. Although they used the same for all their games, it sure is exciting to get them in nice condition. Fly in all directions while shooting, dodging and picking up energy. You’ve got a number of gauges to keep track of: Energy, Shields and D-Time. Run out of any of these three and you’re stardust. Energy powers your weapons so don’t go too trigger happy. Now and then you may find a capsule to pick up more. Shields make sure your ship doesn’t get blasted apart right away. You can take a hit or few, but sloppy flying will end your journey. D-Time stands for detonator. It more or less shows you how far away you are from your end-target for the stage. You’ve got to destroy it by shooting one of the detonator pins to move on. Altogether, I hear there are four detonators, though only reached one myself. 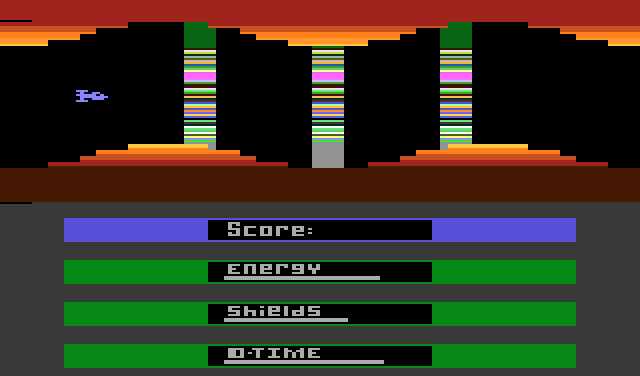 Dodge laser gates with different patterns, shoot through static columns, eliminate enemy ships and creatures. Highlights: Excellent controls for moving and shooting. Full spectrum range of colors and sounds in the game that look great and make sense in the game play. 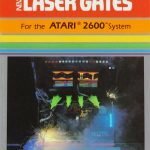 Lowlights: Seems like inevitable doom though the manual suggests the game can be completed. ‘Homing’ missiles seem to have an unfair advantage matching the slightest movement immediately. 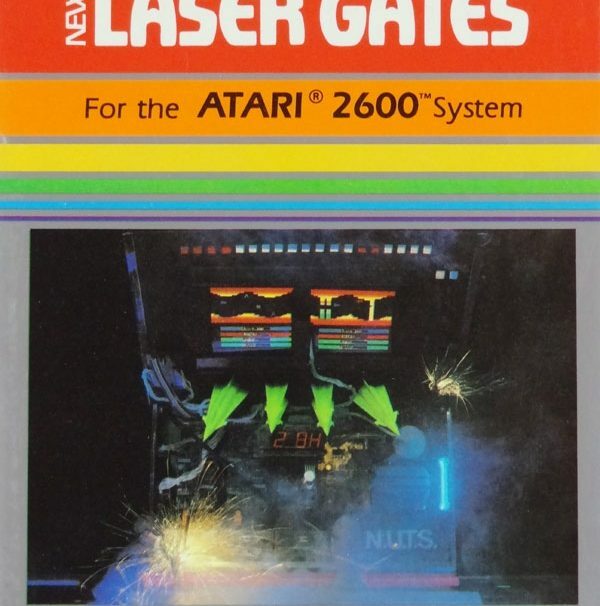 Final Thought: MUCH better than Defender on Atari 2600 or most other space shoot’em-ups for the era. Not a cheap find, but well worth getting.